Can be found in many food applications. It is most often found in salad dressings and sauces where it provides a high viscosity at rest and a high pseudoplasticity and also good suspension of particles. 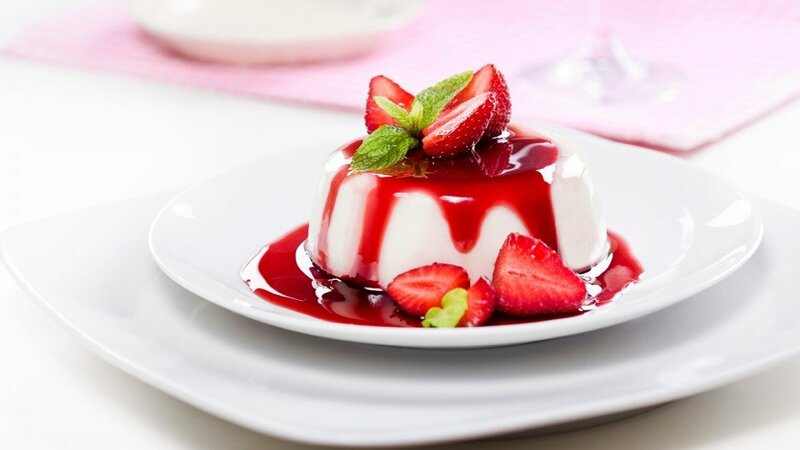 It is also used in Dairy products in combination with other hydrocolloids, in icecream to control crystal formation, give slow meltdown and modify and improve textures. Xanthan provides good stablisation of air cells in whipped products like cream and mousse. Xanthan gives fast hydration, thickening, suspension and body, to instant mixes, like soups, drinks and desserts. and beverages. Xanthan can also be found in bakery products, syrups, toppings and fillings. Xanthan is an extremely viscous sol produced in a natural fermentation of sugars by the bacterium Xanthomonas campestris. Oil – Water dressings Emulsion stabilisation and viscosity control. Syrups and toppings Viscosity control and cocoa suspension. Baked goods Prevents lump formation during kneading and improves dough homogeneity. Whipped creams & mousses Air cell stabilisation. Instant mixes Rapid thickening, suspension and provides body. Xanthan gum (E 415) is a long chain polysaccharide composed of the sugars’ glucose, mannose, and glucuronic acid. The backbone is similar to cellulose, with added sidechains of trisacharides (three sugars in a chain). These features make it interact with itself and with other long chain molecules to form thick mixtures and extremely viscous sols in water. It is an extremely viscous sol produced by the bacterium Xanthomonas campestris, which causes black rot on cruciferous vegetables such as cauliflower and broccoli. The slime protects the bacterium from viruses, and prevents it from drying out. One of the most remarkable properties of xanthan gum is its capability of producing a large increase in the viscosity of a liquid by adding a very small quantity of gum, on the order of one percent. In most foods, it is used at 0.5%, or even as low as 0.05%. The viscosity of xanthan gum solutions decreases with higher shear rates, this is called pseudoplasticity. Foods need high viscosity at low shear rates to be stable but, when consumed, they must not seem thick and heavy in the mouth. Due to the pseudoplastic properties of xanthan gum, it can seem thin in the mouth (fairly high rates of shear) but still have good stabilisation properties. Unlike other gums, it is very stable under a wide range of temperatures and pH. The backbone of Xanthan gum is similar to cellulose, but the trisaccharide side chains of mannose and glucuronic acid make the molecule rigid and allow it to form a right-handed helix. The secondary structure of the Xanthan molecule, in which the side chains are ‘wrapped around’ the cellulose backbone, explains the unusual resistance of this hydrocolloid to degradation by acids or bases, high temperatures, freezing and thawing, enzymes and prolonged mixing.